Indiana AgrAbility Rural Rehabilitation Specialist Steve Swain presented "Gardening for People with Disabilities or Those Who are Getting Older" to an audience at the Tippecanoe Public Library in Lafayette, Indiana. The presentation was part of a series offered by the library to help the public prepare for the spring gardening season. Mr. Swain presented last year as part of the series on home modifications and accessibility. 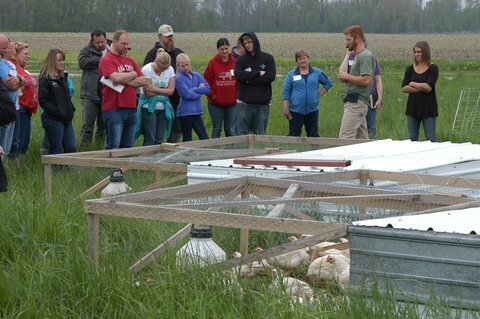 As part of the Purdue Beginning Farmer/Rancher Development Program, Indiana AgrAbility staff hosted a veteran farm tour at Freebird Farm & Homestead in Walton, IN, on May 1st. Thirty-five military veterans and their family members from across the state of Indiana and as far away as Virginia and Michigan attended. 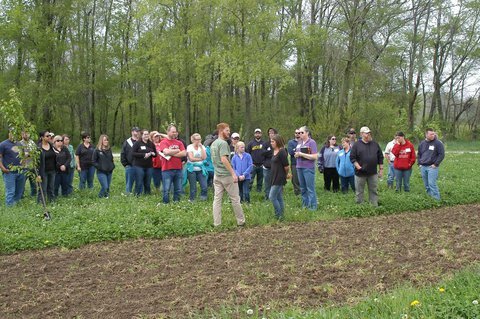 Veterans participated in informational sessions on permaculture, regenerative agriculture techniques, and rotational grazing principles.The event's lunch was a catered meal of locally grown and raised products, and it was followed by a tour of Freebird Farm and Homestead. 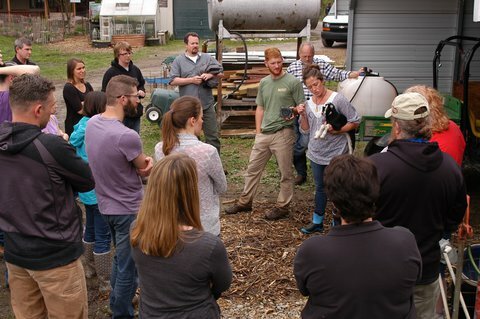 The farm is co-owned by Zach Morris, an Army veteran, and his mother, Melanie Shepherd. It is a highly diversified farmstead with an emphasis on pasture-raised chickens, sheep, and goats, using principles of permaculture and regenerative agriculture.